Cilla is on deadline: she's trying to finish her great American novel before her baby sister is born. Because once there's a baby in the house, people tend to forget about you. There's just one huge problem: her name. Cilla, full name Priscilla, wants a more writerly name. Something cool, like Supernova Hemingway. Looking for writerly inspiration, she turns to her family. Cilla observes that babies are bald. She remembers how hard it is to grow hair (she was bald when she was five) and how rude people can be when they ask questions like "what are you" and don't accept answers like "author extraordinaire". She remembers how she loved snails until she tried to share them with her friends and they all said, "yuck!" When adults ask where she is from, she tries to be polite. At first she'll tell them where she lives. Then, when they say, "no, where are you originally from?" she'll reveal that she's really from her mom's belly. Because she looks different than other people, she gets asked where she's from a lot. While Cilla is all set to write a memoir, once her sister is born she realizes that the world is bigger than she thought. 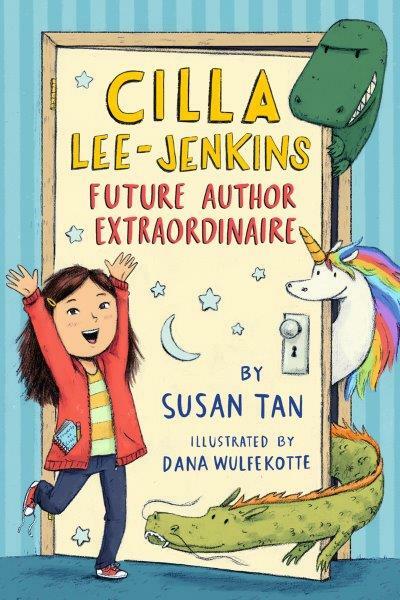 It's filled with aliens, time travel, and unexpected adventures.One of the things I especially like is Cilla's guide to life and literary terms. On Monday we'll be hanging out on Marvelous Middle Grade Monday with other bloggers over at Shannon Messenger's blog. Hop over to see what other people are reading. ARC provided by publisher. When this book showed up I had to pull off my gardening gloves, kick off my wellies, and take a look. There's everything you'd want to find in a book between these covers: friendship, soccer, a lost rabbit, and a secret garden. Plus, how can you put down a book that starts with a chapter titled "Seeds"? Anna has always wanted to live on a farm with a big garden. So when her family moves to a new house, she can follow her dream. She can clear the land, like Laura Ingalls Wilder, and plant crops. Her new friend, Laura, lives on her aunt's farm with gardens and a barn and a pony. She helps Anna clear a garden spot but would rather play soccer. Still, when Anna finds a lost baby bunny, she knows exactly what to do. Call Laura. They haven't been playing together, but surely Laura will help her save this poor, lost bunny. 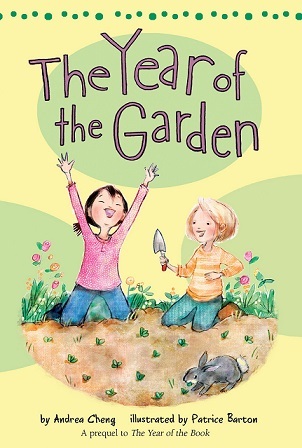 As spring unfolds, Anna and Laura plant lettuces and deal with typical garden woes. They have to defend their tiny crops from the neighborhood herbivores. But, hey - it's not how many vegetables you grow that counts. 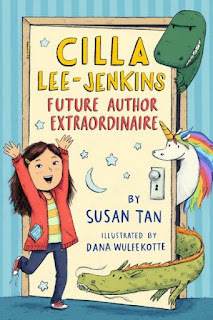 On Monday we'll be joining other bloggers to celebrate books on Marvelous Middle Grade Monday at Shannon Messenger's blog. Hop over to see what other people are reading. Review copy provided by publisher.